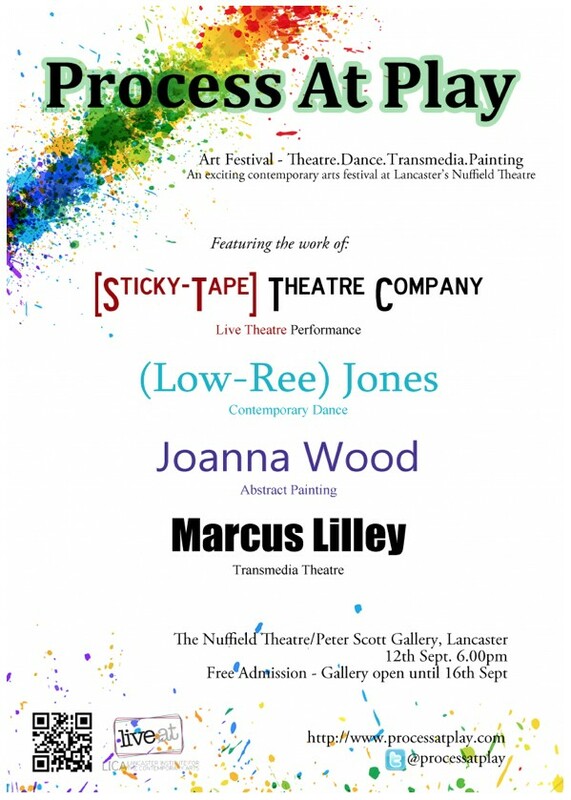 On the launch night – Monday, 12th September – dancer Lowri Jones and theatre company Sticky Tape Theatre will be performing their work, and Joanna Wood and Marcus Lilley will be exhibiting in the gallery throughout the week. • Dancer and performer Lowri Jones.Lowri creates contemporary dance and visual art that explores the relationship between the body and the landscape. Her solo dance performance ‘Codes of Romance’ will be performed on the evening of Monday, 12th September. • Theatre company Sticky Tape Theatre. Leo Patel, Tom Kirk, Jon Coleman deal with themes of loneliness and isolation. Using striking imagery and animations they will tell the story of a man left alone in an inhospitable wasteland. Their performance ‘My Canary’s name is Danie’ will be premiering at the Nuffield Theatre on Monday, 12th September. • Artist and painter Joanna Wood.Joanna creates abstract paintings that explore the possibilities and qualities of painting through experimentation via, technique, color, form and fluidity. Her exhibition will be in the Peter Scott Gallery from Monday the 12th to Friday 16th September. • Multimedia performance artist Marcus Lilley.Marcus creates interactive and immersive theatre performances using social media photography and videos. His performance ‘The Darkened City’ encourages the audience to directly engage and interact with the work as it transpires, beginning on Monday, 12th September, and ending with a site specific installation in Lancaster city centre.